Removing an employee from all SaaS applications is a tedious task. Mapping all the systems they have access to, figuring out how to revoke that access and tracking this process takes a lot of time and attention. Torii now simplifies employee offboarding with a streamlined offboarding workflow. You can now save time and be sure no one leaving your organization still has the keys to your system. When an employee leaves, you'll be notified by email and can then start the offboarding process. 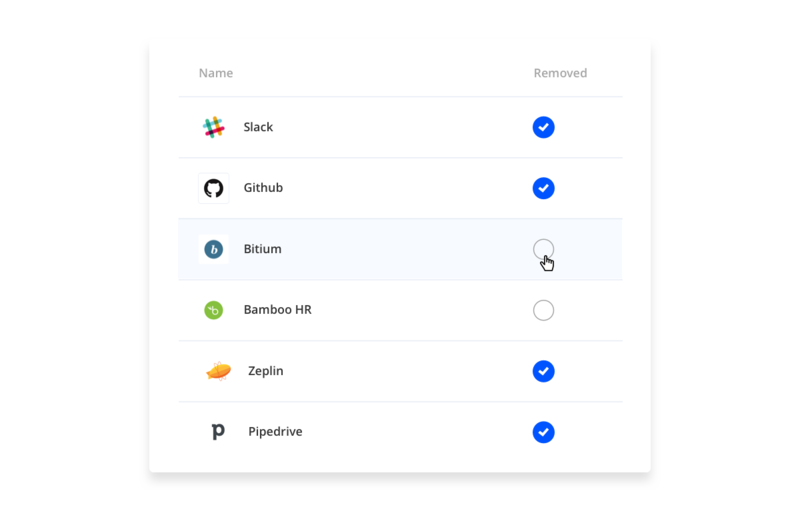 Each SaaS app has its own owner who can remove the employee and verify that they no longer have access or occupy a license. If that's you, that’s great! If that's someone else, don't worry—we’ve made it super simple to involve the SaaS owner in this process and request help. Track the offboarding progress from start to finish. See exactly what's been done and what's left to do. Wouldn't it be great to have Torii do all the work for you, in one simple click? 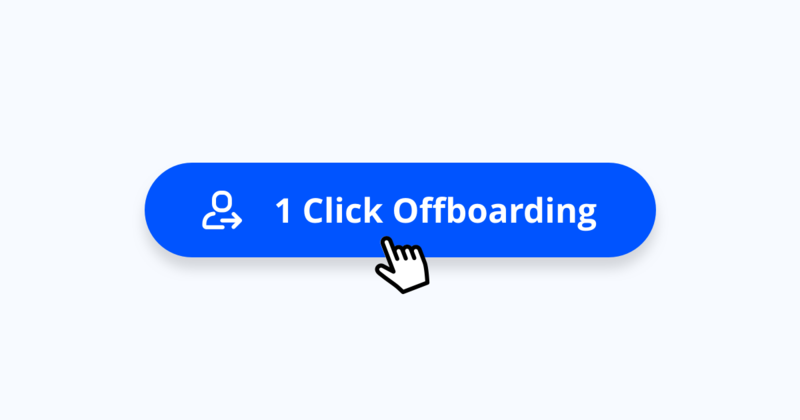 Just click the "One-Click Offboarding" button and we'll take care of the entire process. 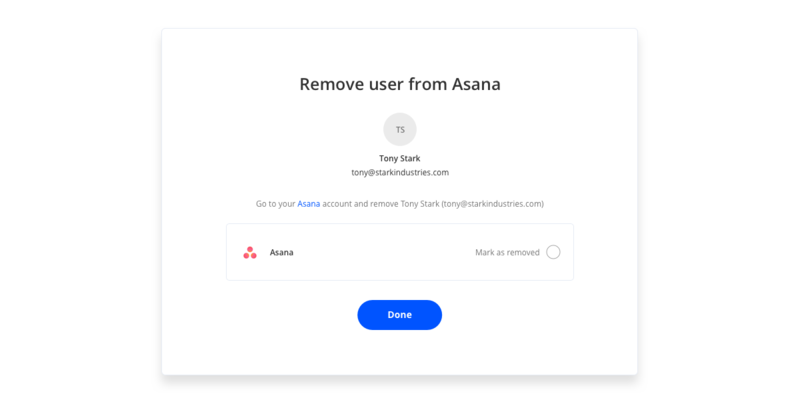 Application owners will be notified and asked to remove the employee from their SaaS applications while you relax, sit back, and track the progress as it happens.